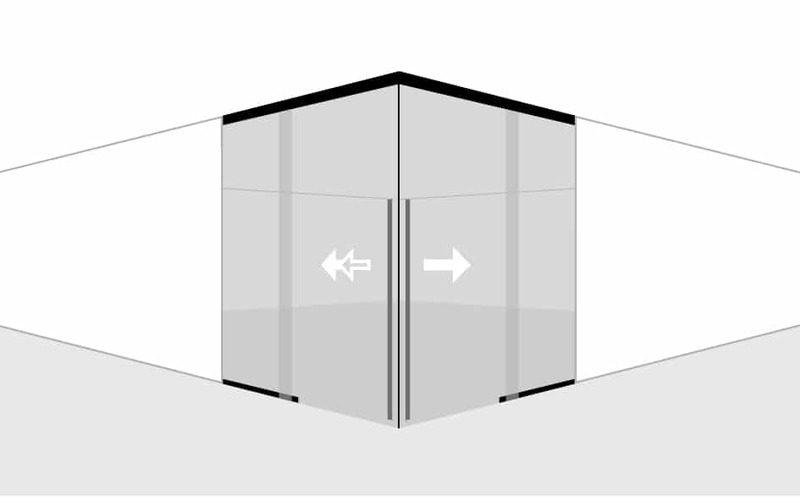 Rolmatic® is designed to divide ambiances through synchronized bi-parting glass doors sliding along glass sidelights. 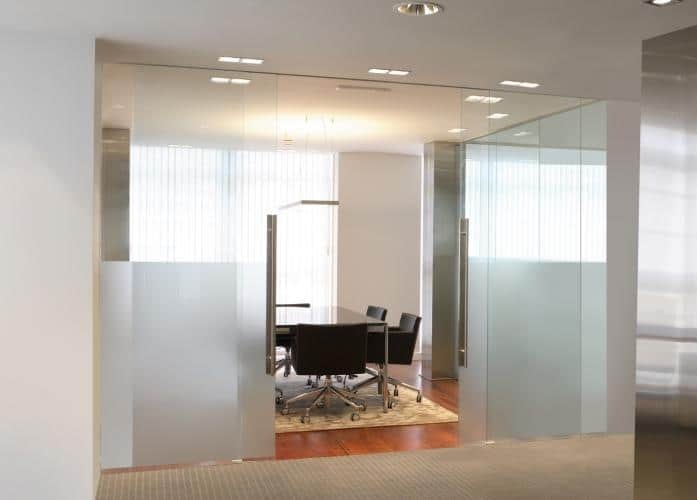 Ideal for offices partitions, conference rooms, bedrooms entrances, lounges, etc. 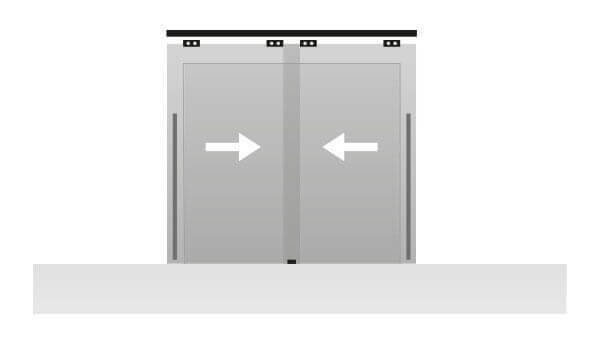 Innovative system for high end projects leaving a clear opening up to 8’-0”. 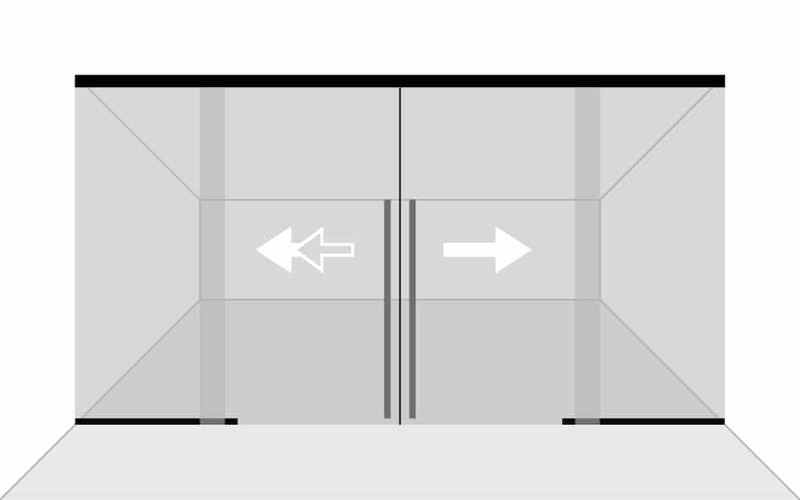 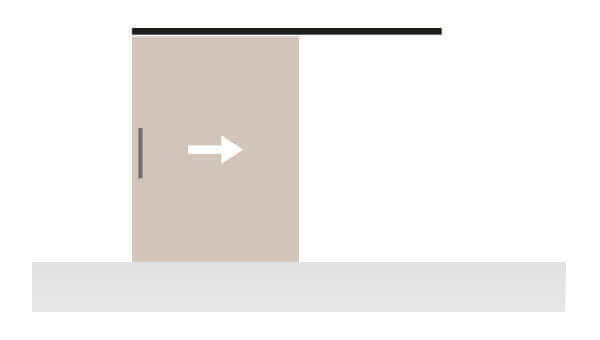 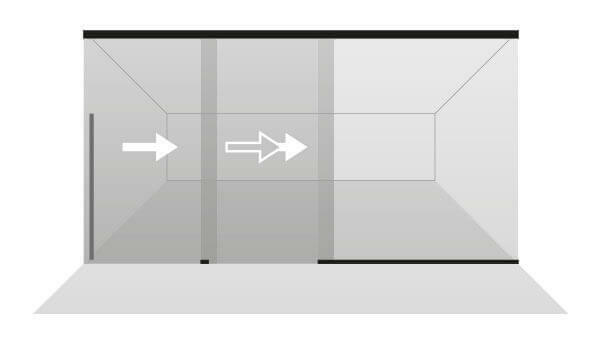 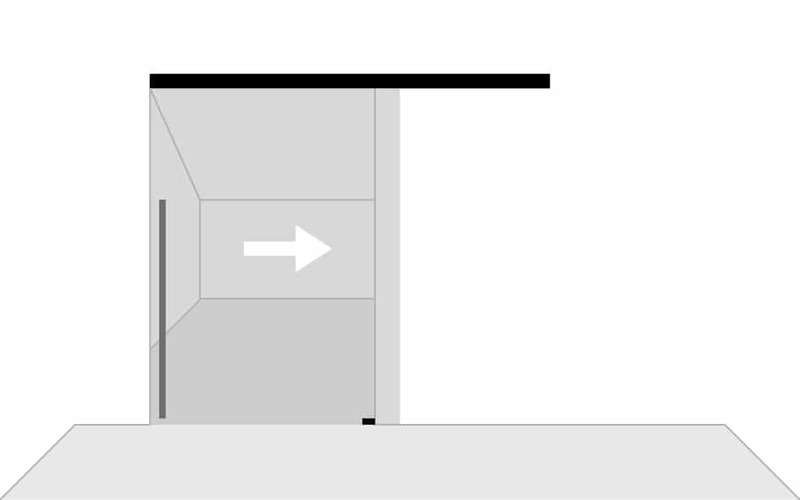 90º corner opening option available. 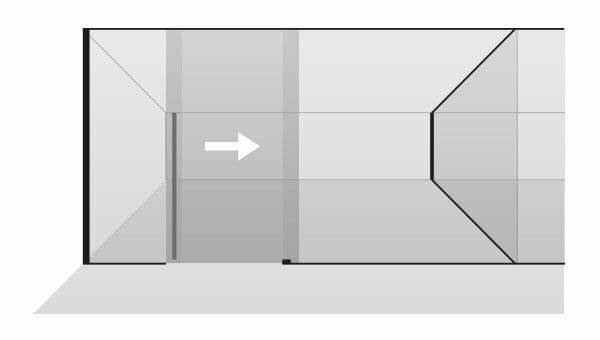 Single extrusion to combine fixed and sliding glass panels for easier and faster installation. 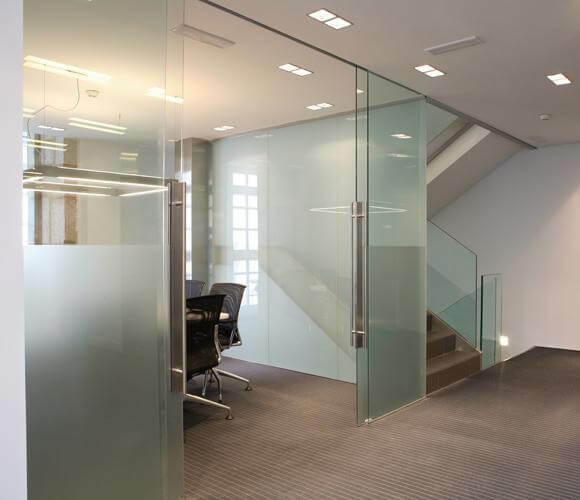 Minimal gap between fixed and sliding panels to enhance aesthetic and acoustical features. 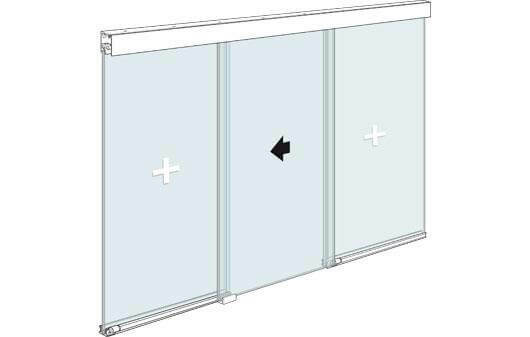 Glass panels held through high weight capacity pressure clamps with no glass drillings (use of tempered or laminated glass). 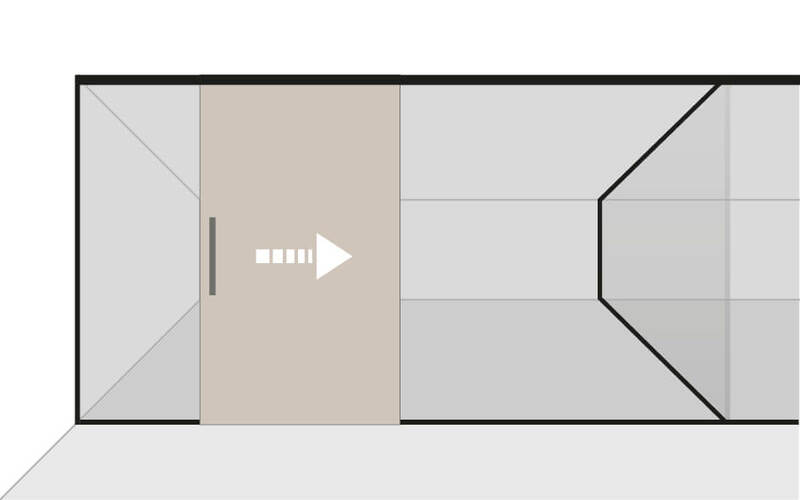 “Silver Mariner” anodized aluminium profile (AA10 ISO 7599, 20 microns).